Connected Car Conference primarily aims to provide conditions for collaboration between producers of complete equipment and players of the connected car market. The conference will feature 17 industry experts. They will discuss the digital transformation of the transport system, legislative environment of the market, autonomous transport, car sharing, micromobility, IoT technologies for connected vehicles. Besides, the event will offer an exhibition area, where participants of the connected car market will provide attendees with the personal professional consultations. Who may find the event interesting? IoT technologies for solving car industry issues. Current application solutions. New Generation of Driver Assistance Systems (Smart ADAS/Connected ADAS) and Autonomous Driving (AD) by Mobileye/Intel. Integration of intelligent transport systems in regions: concept and approaches. Ivan Zapolsky is a co-founder and deputy CEO at Rightech. The company was established in 2016. Its product, RIC, is the first IoT platform registered in Russia. Rightech's mission is to make Internet of Things technology available for everyone. The company has developed a platform with a graphics interface that allows users to manage a project without knowing programming languages and technical details of IoT system operations. Roman Fershter is an International Business Development Executive with over 25 years of expertise in the High Tech Industry, IT and Automotive. Together with RGRAUTO Team and Mobileye, An Intel Company as well as with a network of Authorized Partners in Russia and CIS, Roman leads the combat against road crashes in the region while improving the safety and the efficiency of governmental, municipal and commercial fleets and the global road safety in general. Prior to joining Mobileye and RGRAUTO, Roman held different Managerial positions at several world-leading corporations such as Cellcom, ECI Telecom, RAD Data and Axerra in Europe and the CIS. Since 2013 – founder of Jcomm LLC that specializes in the organization of business events for the Russian Ministry of Transport, Federal Road Agency, the Russian Highways State Company, and IT companies. Since 2016 – initiator, organizer, director of Intelligent Transport Systems of Russia International Forum and Exhibition. In 2017 – became one of the initiators of the Digital Era of Transport Association. Since 2018 – CEO of the Digital Era of Transport Association. Since 2019 – President of the Digital Era of Transport Association. 10-year experience in consulting technological projects. At Tomashevskaya & Partners, Roman is responsible for large projects in the field of Technology, Media & Telecom. Before joining Tomashevskaya & Partners, he was a partner of legal firm Zartsyn, Yankovsky and Partners. Roman has taken part in deals with well-known Russian startups and consulted large industry companies. For a long time, the speaker was a Secretary of the Supervisory Board at FinTech Association. The expert is focused on legislative and educational projects. He teaches at Moscow State University and the Moscow Institute of Physics and Technology. Famous for book 'Startup law' dedicated to legal aspects of the technological business. Founder and head of Research center for problems of robotics and AI regulation ROBOLAW. Advisor to Moscow office of Dentons international law firm. Deputy Head of the State Duma's Workgroup on the regulation of robotics and artificial intelligence technologies. Member of Expert Council on Digital Economy and Blockchain Technology of the State Duma of Russian Federation. Expert of several technical workgroups of the Digital Economy program. Member of the Russian Association for Artificial Intelligence, member of the Association of Antimonopoly Experts. Chief Editor of 'ROBOLAW digest', news digest focusing on the regulation of new technologies. Co-author of Model Convention on Robotics and Artificial Intelligence and a number of bills and conceptions on regulation in the field of cyber-physical systems. Author of monography, over 50 scientific articles and publications including on the regulation of robotics and artificial intelligence. Has been working for Skolkovo for more than 5 years, leading the development of transport infrastructure and services. Participates in the integration of transport technologies, including infrastructure ones. Focused on the launch of Yandex self-driving taxi in the territory of Skolkovo Innovation Center. Member of Autonet team, a working group on the improvement of legislation and elimination of administrative barriers for the implementation of the action plan (roadmap) of Autonet National Technology Initiative and a working subgroup on international cooperation for the promotion on forming global markets of advanced technologies, products, and services of Russian companies of the Autonet market. Member of the Association for the Development of Electromobile, Unmanned and Connected Transport and Infrastructure. Vasily Bykov, entrepreneur from Kaliningrad. Founder of Samocat Sharing. He graduated Vlerick Business School in Belgium. Since 2015, he has been developing a scooter leasing network in Russian cities as well as in Finland, Cyprus, France, and Georgia. Activity: scientific research in the field of urban transport; analysis and conceptual design of urban transport infrastructure; development of transport policy measures, target-oriented programs and strategies for transport; research and methodological support of government agencies, realization of digital transport and Smart City concepts. Co-author of transport section of "Strategies of social and economic development of Moscow up to 2025", section on the development of transport systems in cities as part of the realization of the "Transport strategy of the Russian Federation up to 2030", head of research project "Development of science-based measures to restrict the access of motor transport to certain territories of Moscow according to emission standard", program "Digital economy of the Russian Federation" (section "Smart city"). Infrastructure for unmanned vehicles in Russian cities: what should it comprise and how can it be integrated into real-life street and road networks? We offer various advertising options, including customized solutions in accordance with your wishes and unique features of your work. Participation in the exhibition area is a perfect opportunity to draw attention of attendees and investors to your solutions. We are looking to cooperate with specialized mass media. You will be able to obtain exclusive newsbreaks, talk to speakers, and interview them. 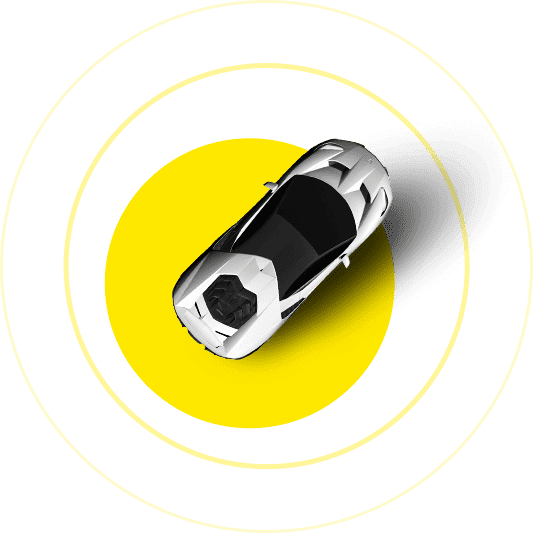 Relevant information about the condition of the connected car market and priority areas of technology development.